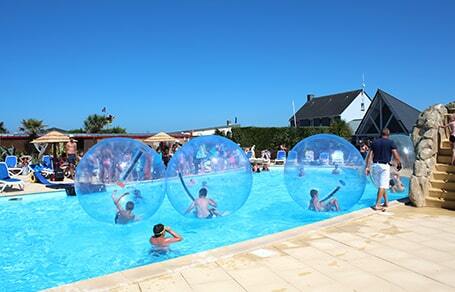 Spend an exceptional holiday at our seafront campsite in Normandy! In the department of La Manche in Normandy, our 5 star, family run campsite, is ready to welcome you, just 20 meters from the beach. 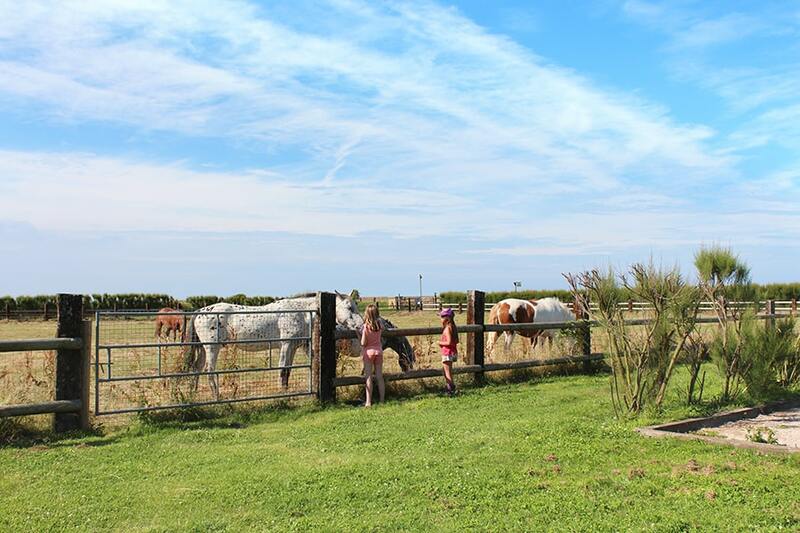 With sea to and countryside, Le Cormoran is an ideal family holiday spot, with an abundance of fun to keep the children amused, and organized days in July and August. Set in 8,5 hectares, 256 pitches available. Le Cormoran offers you mobile homes, chalets, gyspy caravans, Tithome, and pitches for tents, caravans or camper vans. The rental properties have 2 to 3 bedrooms and can sleep between 1 and 6 people. Located at the heart of the regional natural park of Cotentin marshlands, our campsite welcomes you in a protected nature area. Take advantage of simple pleasures between these different landscapes : norman bocage, moors and seaside. In the surroundings, cows and horses graze in meadows, cormorans pass over your heads to land on the waves and crabs yomp along rocks. A holiday resort perfect to escape and relax! In the heart of the national park of the Cotentin wetlands, and from our campsite in La Manche, we can offer you a holiday in the middle of a nature reserve. 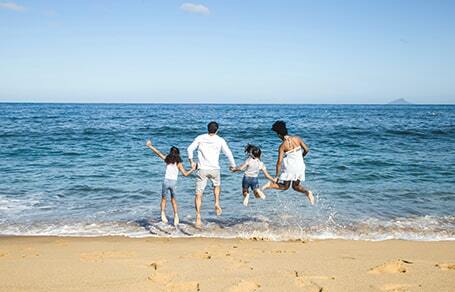 Enjoy the simple pleasures of the contrasts between countryside and seaside. All around the cattle graze in rich green pastures, whilst the comorants wheel above your heads to sweep to the waves and the rocks play host to all sorts of crustations and crabs. A fantastic place to escape to! Right in front of the campsite is Ravenoville’s sandy beach, stretching into the horizon. 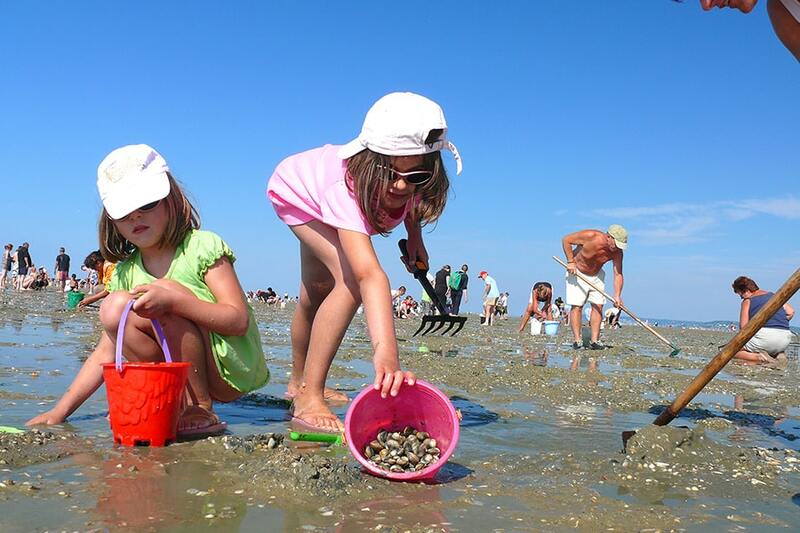 Try joining a group of shrimpers and cockle hunters or just relax with the children and build some sand castles. A short distance from Utah Beach and the D-Day landing beaches and 9 kilometers from Sainte-Mère-Eglise, emblematic of D -Day, you will find yourself in the heart of all the museums and remains of the occupation and memorials. In this environment, just made for relaxation, Le Cormoran offers your holiday stay. Picture your stay by checking out our picture gallery or fly over the site with our video filmed by drone. Just arrive at our campsite, we’ll take care of the rest! 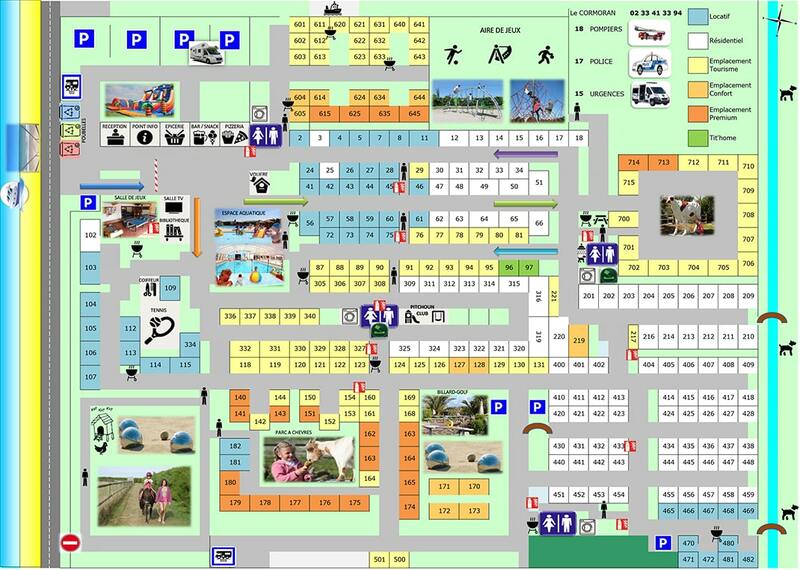 We’re easy to find, use your GPS or map, the campsite is very well signposted. To offer you a quality holiday is our prime aim. This is why you will find us on all social media platforms, and ready to listen to all comments in order to improve our services. Check out both the general notes and customer comments on their own experiences with us, to give you an idea of the level of quality we offer.  In order for you to explore our beautiful region, of Basse -Normandie we have teamed up with various partners and businesses to help us introduce you to our establishment and our area. Contact us by phone at 00 33 233 413 394 or by sending us your request via our contact form. We will be happy to answer your questions. At the heart of the campsite, the children rule, and will not be lost for choice. Our aquatic centre has a colourful paddling pool and a heated pool for the very small. 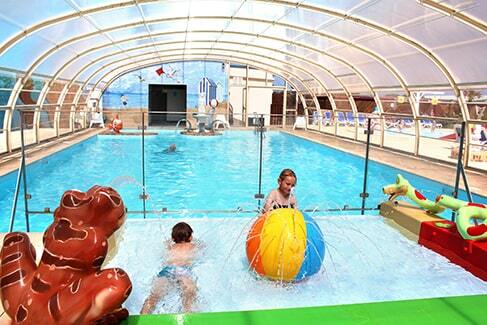 Your children can play and have fun in the warm water and fun jets, in the covered pool. In July & August the outside heated paddling pool, has slides and water jets. A variety of playgrounds offer bouncy castles, trampolines, zip wires, climbing frames, sports fields…they can also pedal a go kart round the many pathways . With all the combinations of accommodation on offer these days, its hard to know what to choose. Making the right choice for your holiday is of primary importance, you wait all year for this, it must be the best you can find. We are pleased to display the well known quality labels we have been awarded, in order to guarantee a good holiday. Don’t leave anything to chance! Put in place by the state of France, the Qualité Tourisme label gives you the ability to choose quality establishments with confidence. We commit to your satisfaction: a warm welcome, efficient staff, guaranteed standards of cleanliness and comfort. 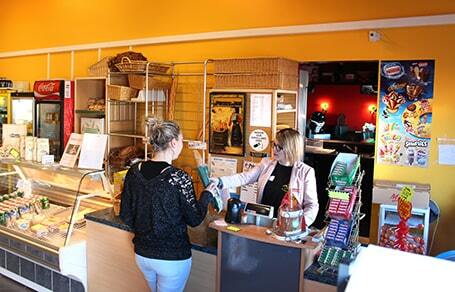 Our establishment is accessible to anyone with reduced mobility. Tourisme & Handicap allows people in this situation to choose suitable placements adapted to their needs. This label guarantees suitable reception and facilities adapted for touring cyclists. It all flags up establishments at less than 5 kilometers from a cycling route. 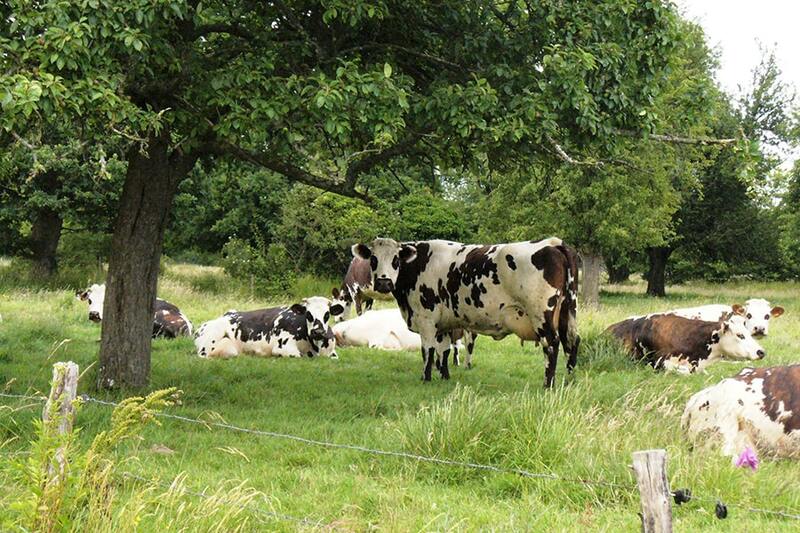 The department of presqu’île de Lower Normandy, La Manche has untold treasures for you to discover during your stay. 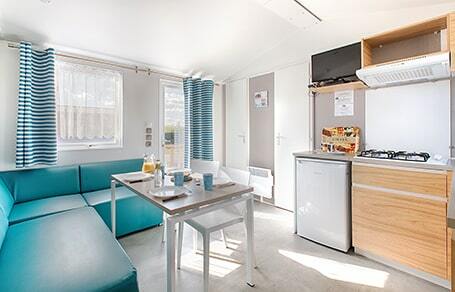 Staying at Le Cormoran in the Utah Beach sector, you are ideally placed to visit the beaches and the numerous D-Day landing beaches museums, like the Airborne Museum of Airborne de Sainte Mère Eglise, or even join in the D-Day festivities each year in June. Head to the north of the department to explore Val de Saire. 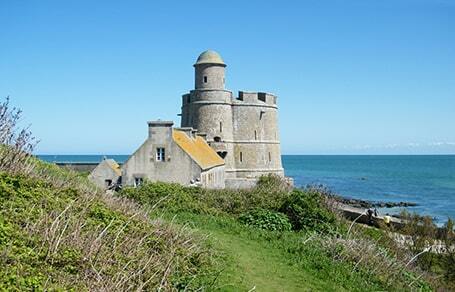 You’ll discover Saint Vaast la Hougue, charming little coastal village, from which you can visit the Isle of Tatihou. Pass through Bafleur, voted “prettiest village in France” and sample the wealth of seafood and shellfish available in the pretty, flowery fishing port. Follow the Cotentin road till you reach Cherbourg. Stroll around the old city centre and visit the famous umbrella factory or visit the Cité de la Mer. A museum of marine exploration, you can spend a fun and educational time with your children, with aquariums, under water exploration nad the Titanic exhibition. In the south of La Manche, visit Mont Saint Michel, the bay and the abbey. Watch the maqnificent spectacle of the Mont becoming an island once again when there are high tides. 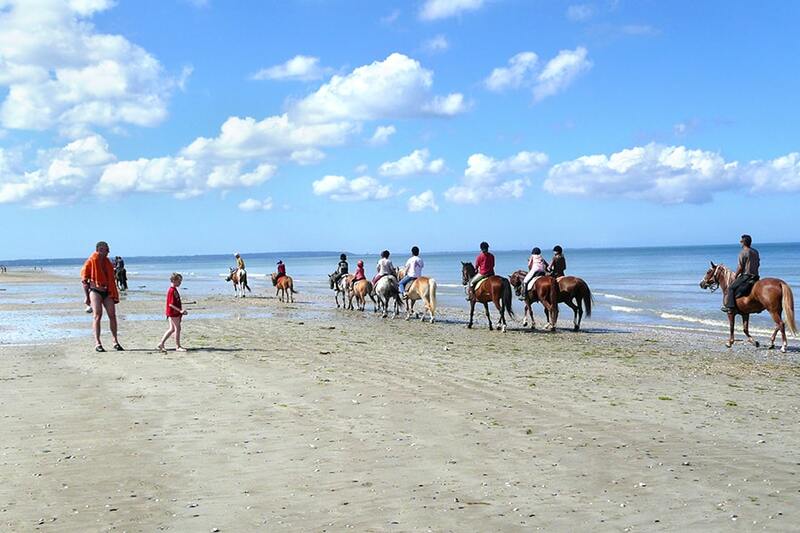 Rental of mobile homes, chalets, wild west wagon and camping pitches in the heart of Normandy. Facilities and services at your disposal during your stay in le Cotentin. In July and August all sorts of entertainments are offered to amuse both old and young. 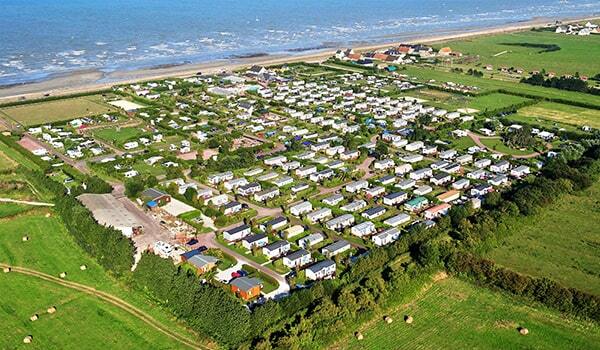 The numerous visites in view from your seaside camp site. Consult the pricelists weekly and short stays in our accommodation.